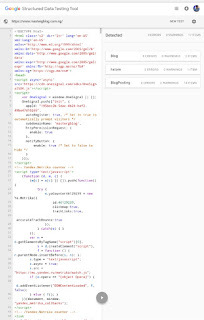 Google has the special tool to check your web site code if any error available in your code. 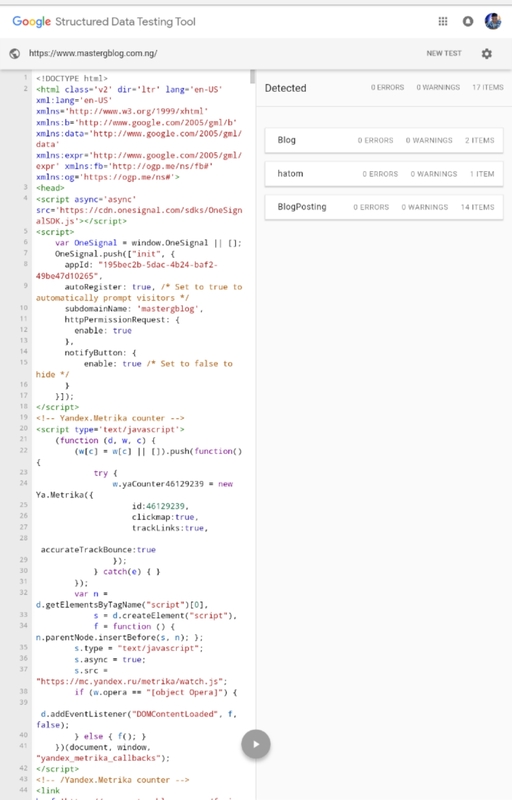 Using this tool to correct your code to correct format and add the all the essential thing in your template code. 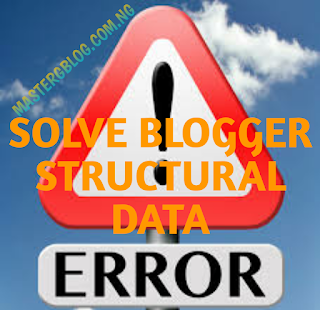 In blogger user, you can check your code in the Google Structural data tool if there is no error in your blog it will not show you any error after testing your blog. If any error found in your blog it will show the error in the red colour. If any warning available in your blog it will show the warning in yellow colour. This error and warning can be easily solvable. How to solve this error in your blog show below using this you can solve that entire problem very easily. The attribute image.itemtype has an invalid value if you get this warning you can solve with above solution as well. The property blogId is not recognized by Google for an object of type Blog Posting. It will be present in a single place or two more places. After finding the code in your template, replace that above code with below code given. The property postId is not recognized by Google for an object of type Blog Posting. It will be present in a single place or two more places. After finding the code in your template, replace that above code with below code I have given. Please Try and Share this amazing post with friend and drop comments to show us some love...Happy Blogging!! !